New and improved COB design delivers 3000 lumens over 120° smooth, even beam angle without a hot spot. 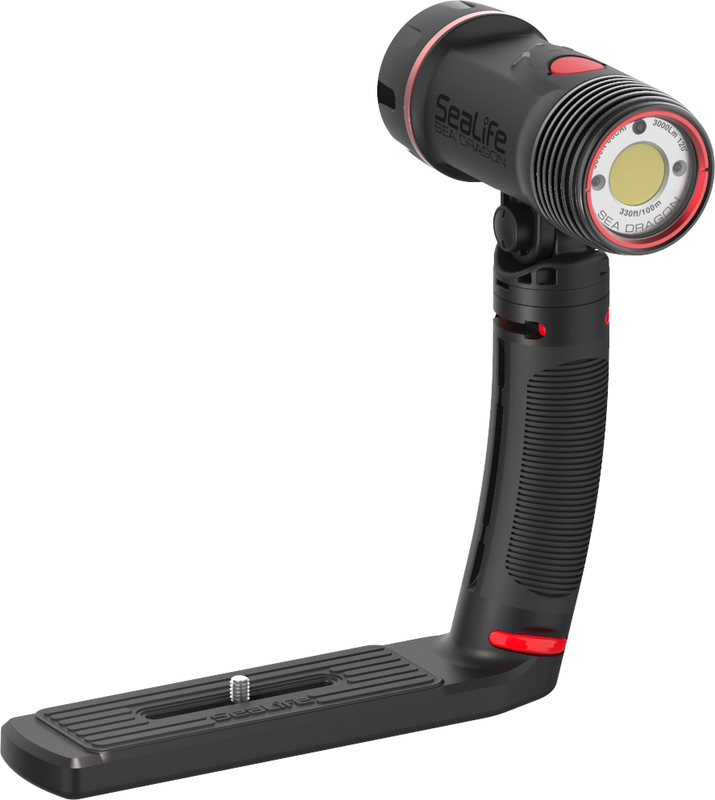 Two red LED’s emit a 88° wide beam that won’t scare away nighttime sea creatures and preserves your eye’s natural night vision. Brightness can be adjusted manually or automatically with its built-in photocell light sensor. The Auto Bright mode automatically adjusts from 300 to 3000 lumens to preserve your eye’s natural night vision and extends battery life. Aim the light at your dive computer or other close-up objects and the light will automatically dim. Aim the light at far away objects for maximum brightness. When nearby flash fires, the Flash Detect feature turns the light off for 1 second for optimal image exposure control. Includes powerful 3400 mAh Li-ion battery with protected circuitry. Auto Bright mode adjusts from 300 to 3000 lumens to preserve your eye’s natural night vision and extends battery life. Auto Flash Detect Mode. Light turns off for 1 sec when detecting external flash. Flash detect can be turned on or off and works in all 5 light modes.